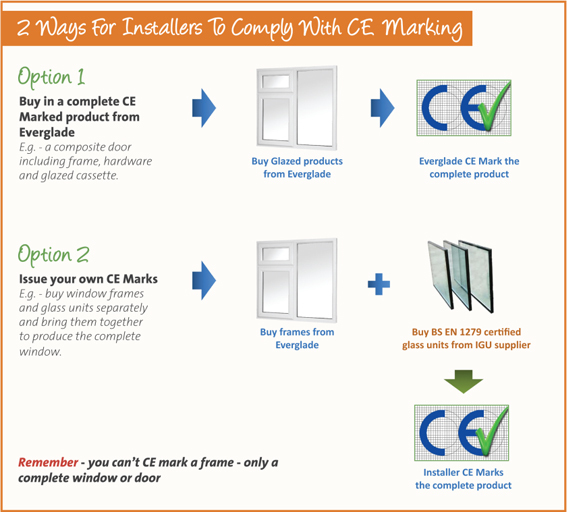 For example, buy a glazed window or glazed composite door. For example, buy a window frame and glass unit separately and bring them together to produce the complete window. 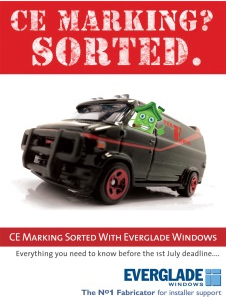 By following the simple steps in Everglade Windows’ CE Marking Compliance Pack installers can CE Mark their own windows and doors, enabling them to keep buying insulated glass units from their usual suppliers.